This quick and dirty primer on the most common types of pallet racks will help you determine which type is best suited to a particular application. To the untrained eye, it can be hard to distinguish between a raven and a crow. But birders know that ravens are bigger than crows, have a different call, and sport a wedge-shaped—instead of a fan-shaped—tail. Similarly, to the untrained eye, one rack can look pretty much like another. But if you hang around distribution centers and warehouses long enough, you know there are many different types of racks and that each boasts unique characteristics. Just as wildlife guides can help you identify which birds and animals you'd expect to find in which environments, the following field guide to racks can help you distinguish between some of the most common types of manual pallet racks. Ultimately, this information, coupled with a good understanding of your operation, should help you decide which racks are best for you. If you're mentally picturing a rack right now, chances are you're imagining a selective rack. Featuring the most basic of designs—two upright frames and shelf beams placed between them—selective racks are like the pigeons or sparrows of the rack world. 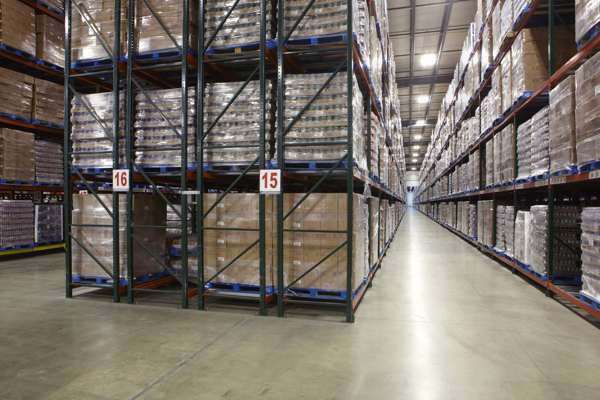 Walk into just about any distribution center or warehouse, and you're likely to see selective racking somewhere in the facility. 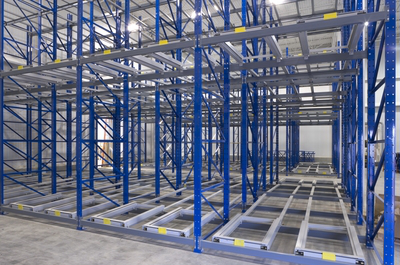 Selective racking is only one pallet deep, and racks can be placed either against a wall or back to back. In a single bay of selective racking, you can have multiple beam levels, with forklift trucks generally used to place the pallets on the shelf beams. Selective rack is the most common type, with a very basic designs—two upright frames and shelf beams placed between them. This type of pallet rack is called "selective rack" because it has a high level of selectivity, meaning that you can access every pallet in the racking system. The drawback is that the system does not provide as high a degree of storage density as other racking systems do. Selective racks can be either welded or bolted together. The welded (or boltless) design is most popular in the U.S. due to the high cost of labor required to assemble racks on site and concerns around liability if the rack manufacturer is not directly involved in assembly. Bolted designs, however, are preferred when racks are being shipped long distances, particularly overseas. Double-deep racking is created by placing one row of selective rack behind another. The result is racking that's twice as deep as selective racking. In most cases, two pallets with the same product are stored in a slot, and a deep-reach lift truck or a lift truck with a double-deep handling attachment is required to access loads in the rear position. While double-deep racking looks like selective racking, it is actually considered a type of high-density racking. High-density racking helps users optimize warehouse cube use by allowing more pallets to be stored per cubic foot. 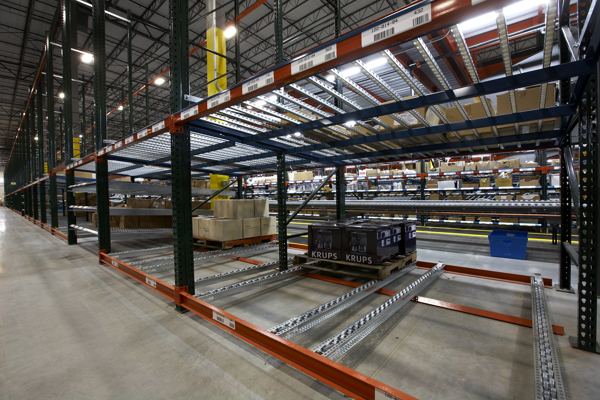 However, it is not as flexible as selective racking, and pallets are not as accessible. 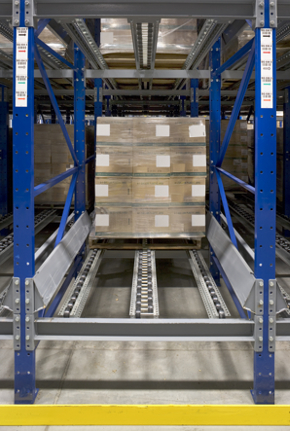 For example, in a double-deep rack, workers cannot access the rear pallet unless the front pallet position is empty. Double-deep racking is made up of two rows of selective rack, one behind the other. A deep-reach lift truck or a lift truck with a double-deep handling attachment is needed to access loads in the back rack. Drive-in and drive-through racks are a type of high-density racking. They're designed so that lift trucks can enter the rack structure to deposit and retrieve pallets. Drive-in and drive-through racks represent another type of high-density racking. They are designed so that lift trucks can enter the rack structure to deposit and retrieve pallets. The pallets are stored on rails that run the length of the rack, as opposed to on a shelf beam that's placed between two upright frames. These racks can store pallets two, three, or more deep. Drive-in racks have one entry/exit point and therefore work well in operations that manage inventory on a last-in, first-out basis. Drive-through racks have an entry point on both sides of the bay and can be used in first-in, first-out inventory operations, as product can be loaded from one aisle and retrieved from the other. It's important to note that because lift trucks are driven into these racking systems, these racks typically suffer more impacts than other types of racks do. The rails of pushback pallet racks hold nesting carts that glide along the rails. In pushback pallet rack systems, the pallet is placed on a series of nesting carts that glide on rails. New pallets are stored by pushing back the previously loaded pallets and placing the new load in the next cart position. Typically, pallets are stored two to six deep. When a pallet is retrieved, the next pallet drops forward into the ready position. As a result, pushback racks operate according to a "last-in, first-out" principle. Pushback racks do not require the use of any type of specialized lift trucks. With a pushback rack, new pallets are stored by pushing back the pallets that are already there. 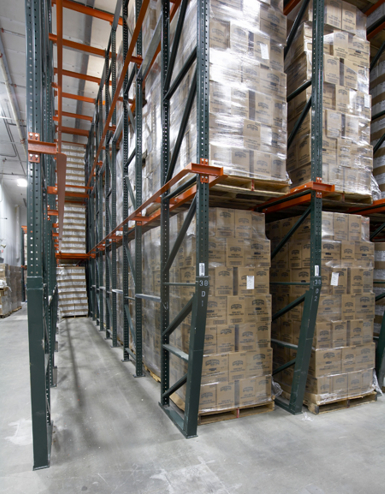 Pallet flow racks help make good use of space; they eliminate aisles. Pallet flow racks usually feature a metal or nylon stop to keep the pallets in the bay. In this type of high-density rack, pallet loads are placed at the end of a series of rollers or skate wheels and then flow down an incline to be picked at the opposite end. As a result, they are a first-in, first-out storage solution. Typically, there is a nylon or metal stop at the end to keep the pallets in the bay. No limit to how deep you can go. Pallet flow racks that are equipped with a brake system have been known to go 20 pallets deep. This guide has attempted to differentiate among some of the most common types of racking, but it is far from comprehensive. There are many other types of racks that we have not featured here. For example, cantilever racks store long or bulky items such as furniture, lumber, tubing, textiles, and piping. Carton flow racking operates like pallet flow racks but at the carton level. Mobile pallet racking mounts existing pallet racking or shelving on mobile carriages that move with the help of a mechanical-assist handle or an electric-powered system. Developing a basic understanding of the different types of pallet racks is not enough, however. Ultimately, companies need to determine the best rack or mix of rack for their particular operation, and that can be a complex undertaking. 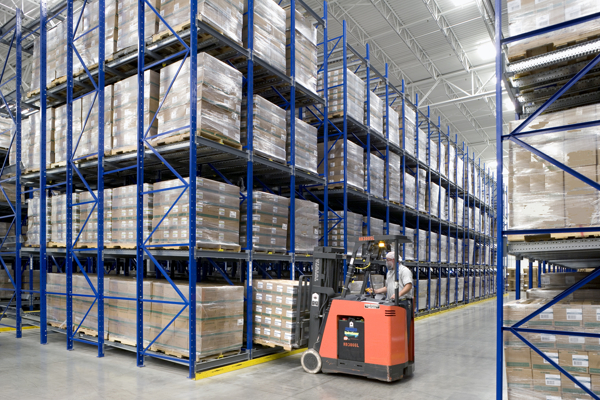 According to Domenick Iellimo, vice president of sales for Frazier Industrial Co., it's important to consider three factors when selecting a pallet rack: the unit to be stored (product load), the method of handling equipment (type of lift truck that you're using), and the area available for storage. In addition, Dave S. Olson, national sales and marketing manager for the rack maker Ridg-U-Rak, recommends taking at look at what your operation's constraints are. Are you space-constrained? Then you may want to consider a high-density racking solution. Does your operation require that your inventory be managed on a first-in, first-out basis? Then you should know that drive-in or pushback racks won't work for you. How much capital can you invest? 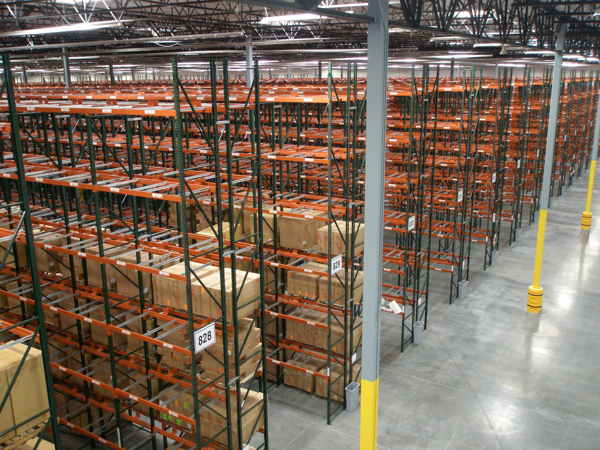 If you're looking for the most economical solution, selective racking may be the best choice. The more informed you are about the different equipment options and the needs of your own facility, the more likely it is that you'll select the right rack for your operation. The Rack Manufacturers Institute—one of MHI's industry groups—is always a good place to start for information. The institute's website includes specifications and guidelines as well as a glossary and frequently asked questions. Many manufacturers offer excellent guides to the different types of pallet racks on their websites. A few used to create this article include "A Guide to Pallet Rack" by Cisco-Eagle, "Storage Rack Selection Guide" by Ridg-U-Rak, and Frazier Industrial Co.'s "Rack 101." The website of the Australian forklift company Adaptalift Hyster features a Warehouse Racking Guide, a series of blog posts that look at the issue from a forklift user's perspective. Feedback: What did you think of this article? We'd like to hear from you. DC VELOCITY is committed to accuracy and clarity in the delivery of important and useful logistics and supply chain news and information. If you find anything in DC VELOCITY you feel is inaccurate or warrants further explanation, please ?Subject=Feedback - : A field guide to racks">contact Chief Editor David Maloney. All comments are eligible for publication in the letters section of DC VELOCITY magazine. Please include you name and the name of the company or organization your work for.